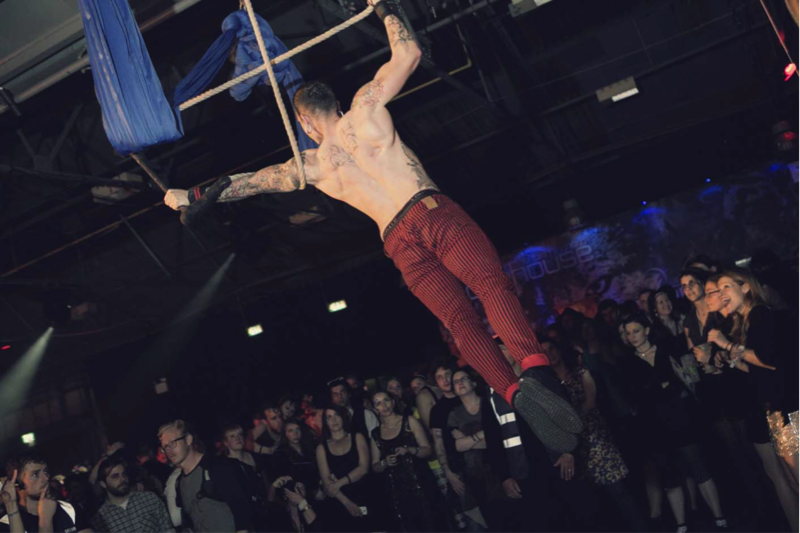 On May 1st Digbeth is set to be transformed into a carousel of festive delights as Swingamajig rolls into town for its 2016 instalment. 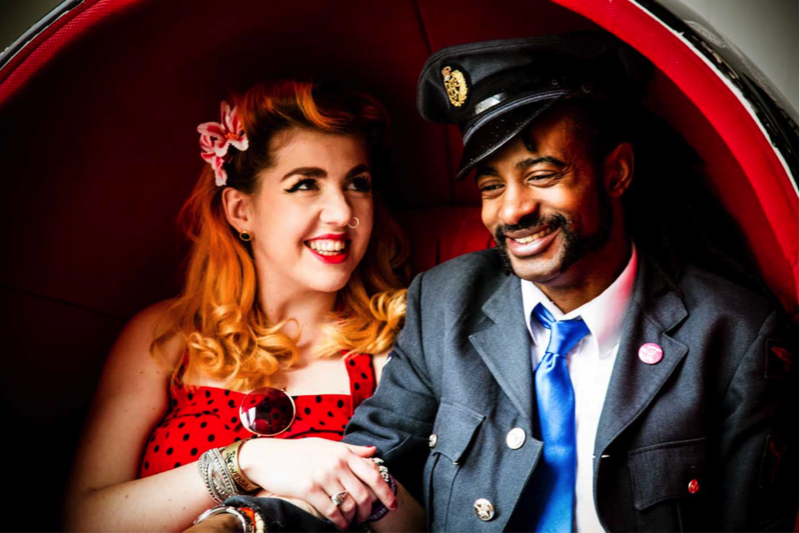 Swingamajig will span multiple venues, under railway archers and in the streets, bringing an eclectic mix of entertainment to the heart of Birmingham. First thing’s first and it’s dress to impress here, top hats, canes, monocles, capes, suits and bowties are all completely acceptable if not encouraged. If your wardrobe is a little bare of such dapper garments fear not, there’s a fully stocked vintage market on site to get you fully suited and booted. What’s important to remember though is that this isn’t just a music festival, instead this is an urban vintage-inspired carnival like no other! Witness spectacular magic with Those Two Magicians, wonder at the miracles of science with mad professor Dr Andrew Szydlo, get a dose of some the countries foxiest ladies with an all-star burlesque line-up featuring Kitty Bang Bang, Ruby Jones and Eliza Delite or maybe you fancy witnessing some supreme acrobatics in which case the sinuous athleticism of Corey Baker and his phone box might be more up your street. With so much going on you’re definitely going to get hungry at some point, luckily there’s a host of delicious street food of all different styles to fight your rumbling stomach with. Greek gyro wraps, Italian Arancini rice balls, Mexican chilli and Jerk Chicken are just the tip of the iceberg, there’s also Digbeth Dining club veterans Pietanic. Now with it being a music festival there’s obviously going to be some wicked tunes getting thrown about, what kind of tunes you ask? How about; Balkan, Gypsy, Electro Swing, Lindy Hop, Jazz, Breaks, Dubstep, Jungle, House, Reggae, Drum & Bass and Rock n’ Roll. Reckon there’s enough variety there? There’s something for every musical persuasion lined up at Swingamajig so you can expect to spend all day and night being entertained by some of the finest live acts around including the legendary Balkan Beat Box, The Destroyers and The Tootsie Rollers, then as the sun sets and the night rolls in you can move into a world of electronic delights with DMC World Champion JFB, Father Funk, Aries and so much more! The final clincher though is the fact that that the event operates on a sustainable action plan. The directors understand that an event of this scale can have an impact on the environment so not only do they make every effort to make it as green as possible with cup deposit schemes, ride sharing, recycling and locally sourced produce, but they also monitor their carbon footprint throughout the festival so that they know just how much impact they’ve made. This in turn means they can make it even better in the future. 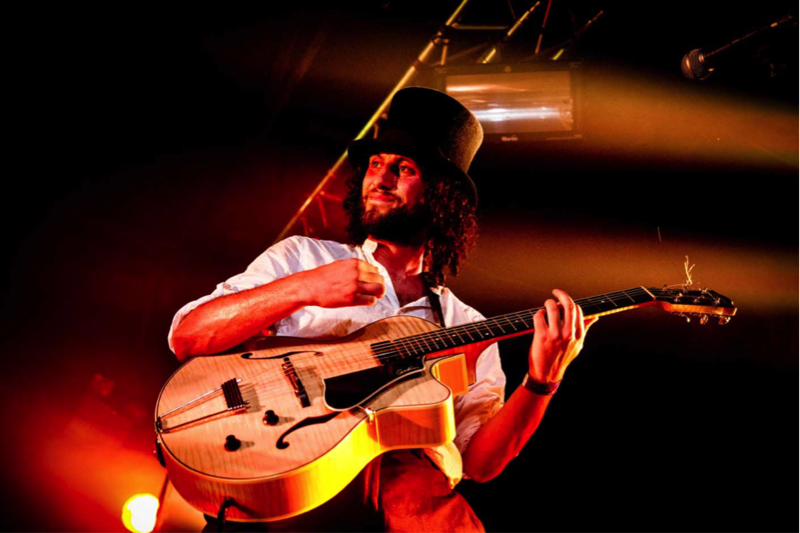 So if you’re after something a bit different on May Day Bank Holiday, or you’ve simply got an itching for festival season already, Swingamajig could be just the ticket to start off your summer with an experience you will never forget.